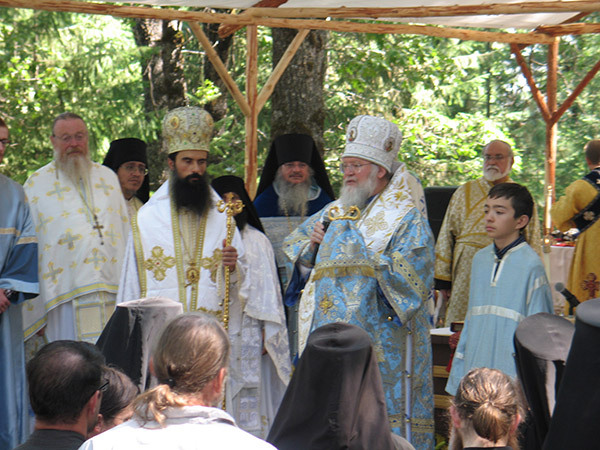 Hierarchical visits of His Eminence Metropolitan Joseph to the parishes, missions and communities of the Bulgarian Eastern Orthodox Diocese of the USA, Canada, and Australia. With great pleasure, I'd like to share with you the joy of our annual St Clement's Day celebration. We were honored to have, His Eminence our beloved Metropolitan Joseph, who made a special effort to come and visit us and to be with us for our Feast Day. This year we are celebrating a great jubilee. That jubilee is in memory of our Patron Saint Clement. It is 1100 years since St Clement of Ohrid finished His earthly life and presented himself in front of the Lord. This is a great jubilee? Glory be to God! The Divine Liturgy, this year, was served by His Eminence, our beloved Metropolitan Joseph. Before the Divine Liturgy started, His Eminence gave His blessing and to the altar helpers (Jarod, Alexander, Lukas, Andrew, Jovan, Alexander and Matthew) who became official Altar Boys. They were blessed as Taper Bearers! Now, I'd like to wish them to continue to serve the Lord with the pure heart and help our beloved St Clement Church! The Choir, as usual, brought to us the Divinity of God through chanting the Divine Service. I’m just concerned about one thing regarding the choir: I’m not sure if Church transends to Heaven or Heaven comes down to the Churchl! Glory to Thee O God! 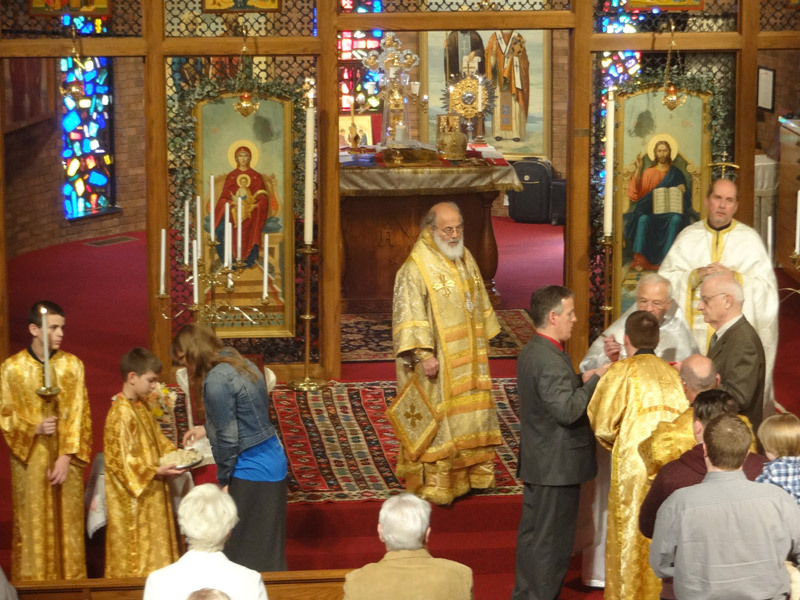 Following the Divine Liturgy, and for the first time in our beloved church, we served the order of Slava. In procession (Litiya), we (the newly blessed Altar Boys, reader Eric Stuart, subdeacon Donald Elliot, Archimandrite Pachomy, Metropolitan Joseph and myself) went from the church to the hall with the icon of St Clement, candles, cross and suns (angels). There was a table, set up with bread, wheat and wine. Philip and Helen Peters brought the Bread (Pogacha) and James and Lily Simoff brought the wheat (pchenica). We offered that bloodless sacrifice to the Lord for good health and prosperity of the people who brought the offering and for all people in our congregation! After the Order of Slava, we had Agapy (Table of love), and a great banquet with the music provided by the Off Beats. His Eminence, our beloved Metropolitan Joseph, left Michigan with good memories of our beloved people and wishes be with us soon. This year His Eminence Metropolitan Joseph celebrated our Feast Day, the Holy Dormition of the Mother of God, on Friday, August 28 2015. We began our celebration on Thursday evening with a wonderful Hierarchical Vigil for the Holy Dormition. At the end of the Vigil, His Eminence spoke inspiring words about our blessed Mother, the Holy Theotokos, exhorting us to become like her. On Friday morning, His Eminence celebrated the Hierarchical Liturgy for the Feast, and we were joined by several guest clergy from local churches. Just before the Liturgy started, Metropolitan Joseph blessed one of our new young men, Thomas, to serve in the altar. During the Liturgy, the choir sang beautifully, pleasing His Eminence with some of his favorite musical renditions. At the end of the Liturgy, His Eminence spoke wonderfully about the Mother of God and how he felt her presence in our midst! Truly we were lifted up from this world and into her arms. The Divine Liturgy was followed by a delicious salmon brunch prepared by the Sisterhood and delightful violin performances by Subdeacon Timothy Zieminski and Ann Rodier. At the end of the brunch, His Eminence gave us a deeply heart-felt talk, encouraging us in our faith and devotion to the Theotokos and how blessed we are for all that she has given us. We are truly her children. On Friday evening, His Eminence served Vespers at our downtown bookstore, Not of This World Bookstore and Icons. Our young people turn the bookstore into a Cafe, the Catacomb Cafe, on Friday evenings and have an outreach to the youth on the Santa Rosa streets. His Eminence blessed the young people in their ministry and told them that "a joyful heart is good medicine." He prayed that all of our hearts would burn with fire to do the will of God through the prayers of the Holy Theotokos. We thank His Eminence for this uplifting, albeit too short, visit and we ask our Lord, through the prayers of the Holy Theotokos, to grant him Many Years! 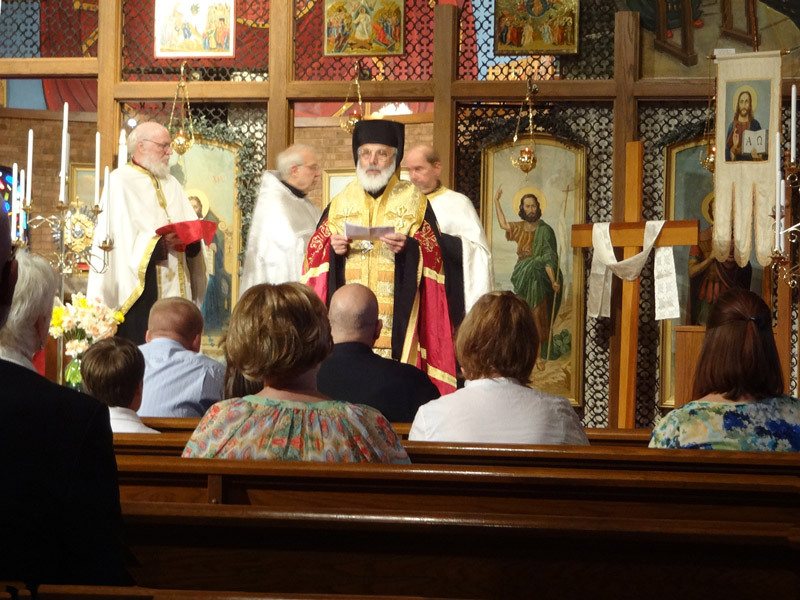 On May 3rd, 2015 His Eminence Metropolitan Joseph made his first visit to St. George Bulgarian Orthodox Church in Orlando, Florida. The visit was organized by the Parish for their feast day of St. George. Metropolitan Joseph blessed the newly purchased land, the small chapel, the newly installed roof top cross, the newly installed bell tower with 600 lbs bell and all people who came to meet Dedo Vladika. The children from the Sunday School presented a small program with Bulgarian folklore dances. The Parish was established back in 2009 and since then the whole community worked very hard with prayer and deeds to purchase a suitable land for building their future church. We thank Metropolitan Joseph, Bishop Daniil, and all brothers and sisters from the diocese for their spiritual support and asking all of you to keep us in your prayers for successful building our orthodox temple. The second Sunday after Pascha called the" Sunday of Thomas" is the day when the faithful of our church commemorate their patron and heavenly benefactor St. Apostle Thomas. For this special occasion we were honored and blessed to have His Eminence Metropolitan Joseph in our midst to celebrate and share with us our festive joy. On April 18 2015, Saturday, His Eminence was warmly greeted at the church entrance by clergy and laity. 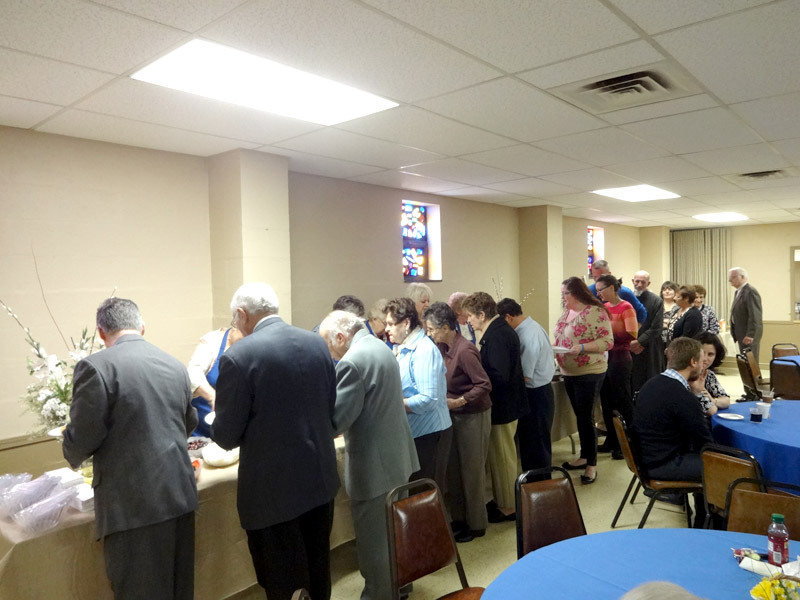 The Great Vespers with Blessing of Five Loaves was followed by a delicious supper and a meeting with the Convention Committee, comprised of representatives of St. Thomas E.O .Church and St. Herman of Alaska Church, Hudson, Ohio – both host- parishes of the 40th Diocesan Convention in Akron, Ohio, this year. On the following day, Sunday, Metropolitan Joseph presided at the Hierarchical Divine Liturgy co-celebrated by Rev. Fr. Vladimir Bakurdzhiev, parish priest, Rev. Fr. Basil Rusen , pastor of St. Herman of Alaska, our sister church in Hudson, Ohio, Rev. Fr. Germogen Tucker, our guest from Iowa, and Rev. Deacon Basil Wallace. At the end of the solemn service His Eminence on behalf of His Holiness Patriarch Neofit and the Diocesan Mixed Council greeted and prayerfully bestowed upon all present God's blessings with best wishes for spiritual growth and prosperity. After the Divine Liturgy guests and parishioners were treated to a luncheon of delectable dishes prepared with love and skills by our ladies of the Sisterhood and deserts donated by parishioners. Blessed is he that comes in the name of the Lord! For many years beloved Dedo Vladiko! Insistently the bells pealed. The Bishop was near. The front door of the Church opened to a sea of happy faces and the joy of the moment was expressed through the song: From the Rising to the setting of the Sun the name of the Lord is to be praise, as we greeted Metropolitan Joseph. Three children came forth from the crowd to give Dedo Vladika flowers, and bread and salt for a weary traveler. Dedo Vladika showed his delight in seeing the sweet children as he fed them some of the bread given to him. It was October 25th, 2014, and His Eminence Metropolitan JOSEPH came on the donkey of modern travel-the Grey Hound bus from New Your City to Boston, to join in Holy Matrimony Michael and Catherine and lead the preceding vigil and Liturgy. Many people from around the country, from sister parishes and from Greece(where Michael studied) joined us at church for this weekend event. All of the services were beautiful, the Church was adorned with flowers, the choir sang triumphantly and with spiritual soberness. But the weekend was made more joyful by the addition of up to 17 clergy--priests, deacons gathered around the Bishop with over 250 friends and family. It was truly a sobor, a meeting in the Lord of friends and acquaintances who had been a part of the newlywed’s life. Dedo Vladika gave three wonderful sermons over the weekend. At vigil he focused on the second prayer before the crowning where the Lord is asked to bless the couple as He blessed the sacred couples of old: Abraham and Sarah, Joachim and Anna and others. The prayer continues: “ Remember also, O Lord our God, the parents who have brought them up, for their prayers make firm the foundation of household.” He reminded us that the prayers of parents start even before the birth of their children and grandchildren, and the prayer includes supplication for future spouses. Today is a good day to start this prayer which makes firm the future of the family. After Liturgy he taught us about marriage and its purpose- the real meaning and the false approach. “Through marriage, [God] permitted two people to take part in His creative work, to give life to the same species to which they belong. He permitted them to aid Him in the creation of new human beings.” Although young men and women often get married for wrong reasons-- passing fancies and sinful desires, they should instead be guided by the real reason for marriage: to help one another on the way to perfection in God and to bring into the world the children God destined to come through them. They should not try to exclude children and beg God for blessing anyway but rather know that God who blesses them is able to provide a way for them and their family. 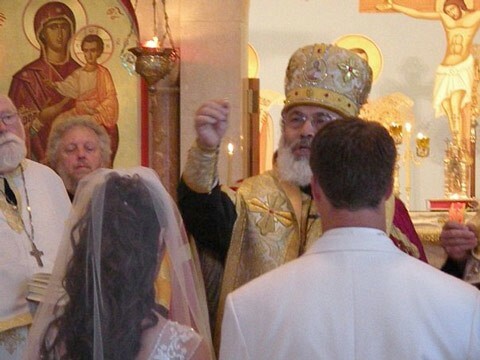 With Dedo Vladika and 11 other visiting priests officiating, friends and family joined to make this wedding one of prayer, support, and love. Many of our parishioners also expressed their love for this beautiful couple by helping with preparations for the rehearsal dinner, singing during the services, cleaning and decorating the church, and assisting with finding parking for the event. Michael and Catherine exuded happiness and joy as they were finally presented as husband and wife, crowned before God. How awesome is God’s work and how blessed we were. Overall, it was a beautiful weekend, one of unions and reunions. May God grant Michael and Catherine many years! On the day on which the Church remembers St. Apostle Bartholomew and St. Apostle Titus, our parish, Holy Resurrection Orthodox Church, in Allston, MA , was blessed with a visit from our dear Dedo Vladika, His Eminence Metropolitan Joseph. It is always a rich blessing to receive a visit from Dedo Vladika, to be in his presence, to pray the divine services with him, and to hear his archpastoral words of instruction and encouragement. It was an especially blessed visit as the occasion was that of the ordination of John Miller to the sacred office of Deacon. The parish greeted his Eminence with the traditional bread and salt Saturday night before the Vigil service. After the Vigil Dedo Vladika reminded all of us that the office of Deacon is one of a servant and he explained the symbolism of the ordination service preparing us for the next day’s service. Sunday morning before the Divine Liturgy His Eminence blessed Helen Bellinger to be a reader, and he ordained the reader John to be a Sub-deacon. Then, with great warmth and fervor, Dedo Vladika presided over the celebration of the Divine Liturgy. After the singing of “It is truly meet” the Liturgy was interrupted for ordination of Sub-deacon John to the Holy Diaconate. 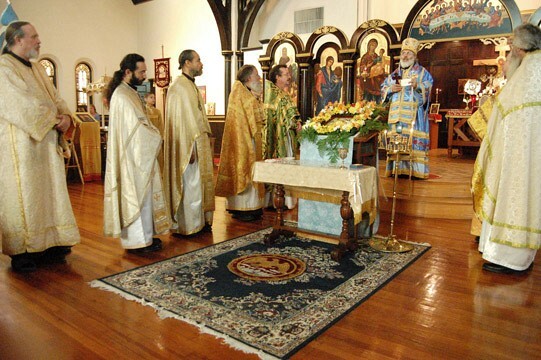 Kneeling in front of the Holy Altar, with the metropolitan’s hands upon his head, the devout Sub-deacon John listened as His Eminence asked that the Holy Spirit come down upon him to make him a deacon and to make up for all that is lacking in him. We are all very happy for Fr. Dn. John and Diaconissa Juliana. Fr. Dn. will be serving at Holy Resurrection for the next months until, God willing, he will be ordained to the Holy Priesthood to serve as assistant to Fr. Stevan Bauman at Joy of All Who Sorrow in Indianapolis. On the 8th of September, St. Herman of Alaska School was delighted to be graced with the presence of His Eminence Metropolitan Joseph for the beginning of its 2014-2015 school year-our 24th year! The event was well-attended by the students’ families. After leading the St. Herman’s community in prayer for the Third Hour, and reading the Gospel, His Eminence blessed with holy water each of the students, teachers, and parents and then the rooms we processed with him around the school. Following this, His Eminence had several words of wisdom to share. With fatherly warmth, he stressed the centrality and necessity of the love of Christ –Christ’s love for us and ours for Christ– over any secular or religious ideology, and as infinitely more precious than the other outcomes that a robust education brings. 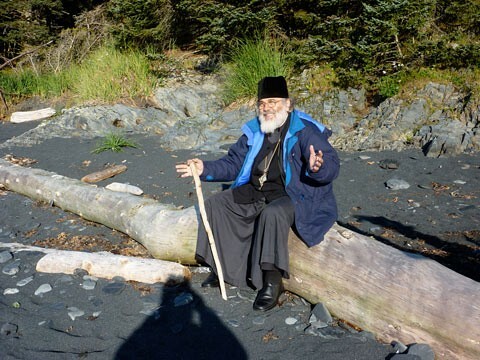 It is this divine love that is the heart of Orthodox education. Also stressed was the importance of parents in teaching their children this love by their lives, without which, their words of religious instruction will lack truth and power. He gave heartening exhortations to students, parents, and teachers, each in turn, reminding each of their responsibilities in this enterprise and binding them to the same by a promise to strive to fulfill our duty with God’s help. Each of the children then received a refrigerator magnet photo of him- or herself with the Metropolitan, an aid to us all in remembering these meaningful moments with him. How rare it is for a community to be able to drink up so much fruitful and affectionate attention from its bishop! 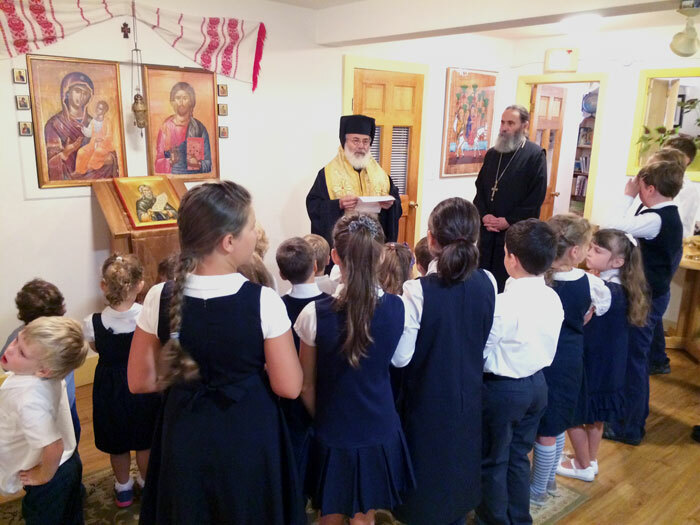 After blessing the start of the new school year at St. Herman’s, a small group travelled with His Eminence to Warwick, Massachusetts and toured the proposed site of a new Bulgarian diocesan monastery. The site includes a recently renovated eighteenth century farmhouse, 68 acres of land, and is surrounded by thousands of acres of state forest (including the appropriately named Mt. Grace state forest). The site is located about a two hour drive Northwest of Boston and will be donated to the monastery by a parishioner of Holy Resurrection Orthodox Church. 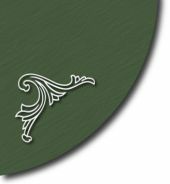 With His Eminence’s blessing the monastery will be dedicated to Saint John the Baptist and a legal framework for the organization will be established later this fall. Please pray that God will continue to bless this endeavor. Except the Lord build the house, in vain do they labor that build it. 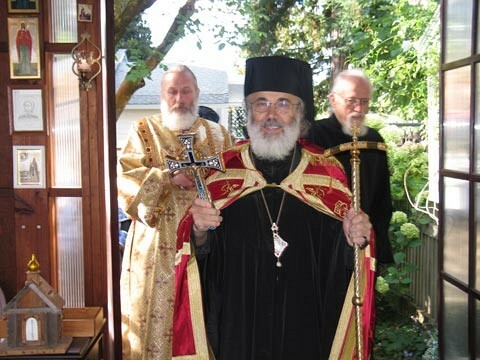 In August of 2012, His Grace Bishop Daniil visited Holy Dormition Orthodox Church in Santa Rosa, CA. 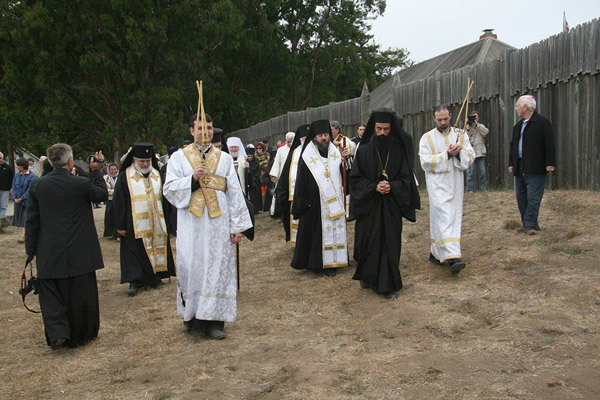 During the visit His Grace was able to attend the 200th anniversary of the founding of Fort Ross and the 30th anniversary of the repose of Fr. Seraphim Rose in Platina, CA. 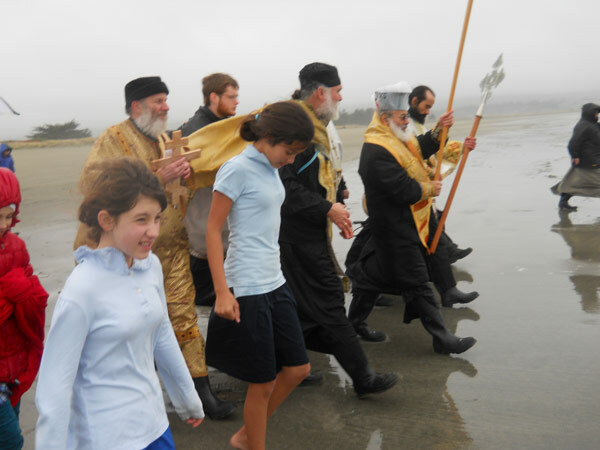 The Visit ended with Metropolitan Joseph and Bishop Daniill celebrating the Feast of Theophany with us at Holy Dormition, which also included the blessing of the waters of the Pacific Ocean. His Eminence Metropolitan Joseph and His Grace Bishop Daniil traveled to Holy Resurrection Orthodox Church in Allston, MA to celebrate Nativity and meet with parishioners. Vladykas Joseph and Daniil were greeted by banners, bells, the choir and the faithful gathered before the start of the Nativity Vigil and midnight Hierarchical Divine Liturgy. After the early morning conclusion of the Liturgy both parishioners and Bishops had a chance to rest and celebrate at home before returning in the early evening to serve Vespers for the Synaxis of the Theotokos and the Holy Ancestors (Joseph, David, and James). A Christmas dinner which featured performances of Christmas carols from Russia, Romania, Bulgaria, and Western Europe followed Vespers and provided an opportunity for parishioners to speak with and seek council from both Bishops. As this was Vladyka Daniil’s first visit to Holy Resurrection, many parishioners introduced themselves and spoke with His Grace for the first time. Following Christmas day, another full day began with Sunday Orthros and Hierarchical Divine Liturgy for the Synaxis of the Theotokos and the Holy Ancestors. A festive meal followed the Divine Liturgy, and Vladykas Joseph and Daniil spoke with parishioners well into the afternoon. Later in the evening the younger generation of Holy Resurrection was blessed to host both Bishops for dinner and discussion in a smaller group setting at St. Anna’s House (where some of our young women reside). All in attendance left this meeting greatly encouraged and strengthened by discussion about the future of the Bulgarian Diocese and living the Christian life in the world. The Hierarchical visit concluded on Monday with brunch with the clergy families and with the Bishops at the Parish House. We were all full of joy and grace in the Holy Spirit being with our beloved Vladikas. 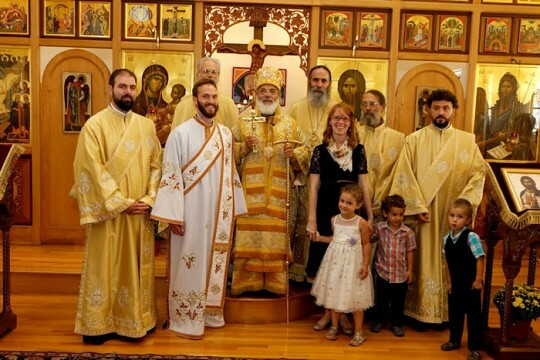 After almost four decades outside the diocese of the Bulgarian Orthodox Church – Bulgarian Patriarchate, St. George’s Macedono-Bulgarian Eastern Orthodox Church in Toronto, Ontario, Canada, returned home. 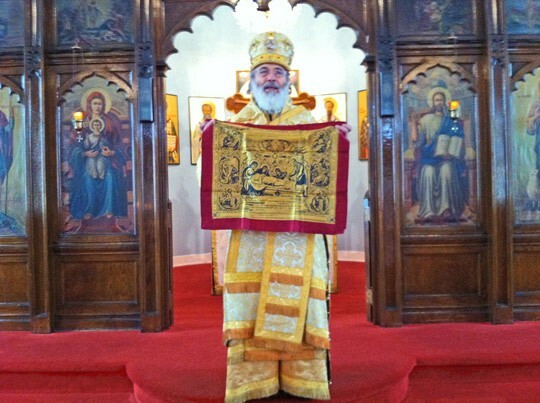 With the blessing of His Holiness Bulgarian Patriarch Maxim and the Holy Synod of the Bulgarian Orthodox Church, His Eminence Joseph - Metropolitan of the Bulgarian Eastern Orthodox Diocese of USA, Canada and Australia celebrated a solemn Divine Liturgy on Cheesefare Sunday. At the begining of the Divine Liturgy Metropolitan Joseph laid the Holy Antimins, consecrated and signed by His Holiness, on the Holy Table as a sign of the acceptance of this parish into the arms of Mother Church. A dear guest was Professor protoprezviter Blagoi Chiflyanov, who together with protoierey Boris Drangov, entered into the joy of host protoierey Nikolai Georgiev. God gives not as the world giveth! To make the joy even greater, before the “utrenya” Metropolitan Joseph performed the rite of full acceptance into Holy Orthodoxy of Barbara, who comes from the Anglican community but knows our faith very well. After due confession the previous day and hard training with fasting and prayer, in the narthex of the church before the assembled multitude, in perfect confession she uttered the truths and dogmas of the Orthodox faith, pledged obedience to Bulgarian Patriarch Maxim and Metropolitan Joseph, and then was led by the bishop to the center of the temple, where he administered the Sacrament of Holy Chrismation. After prayer and anointing with Holy Chrism he dressed her in a long white robe, and so she stood until the end of Divine Liturgy, when, with fear and trepidation, for the first time she partook of the true Body and Blood of Christ. Together with her, other parishioners, including all members of the church board, took Holy Communion from the hand of the Metropolitan Joseph. 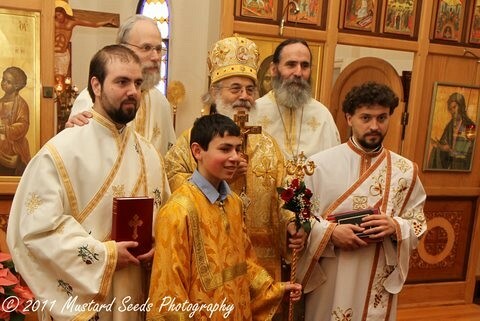 After guiding words from him, the Trustees solemnly swore to faithfully perform their church and patriotic duties, and as honestly and faithfully to serve God, the Bulgarian Orthodox Church and the Macedono-Bulgarian parish church of St. George. As in almost all parishes overseas and here, after Divine Liturgy Vespers began at once, at the end of which, after a heartfelt and spiritually meaningful sermon, the community forgave one other in order to enter into the days of Lent with dignity and evangelically purified. The symbolism of the journey to Resurrection, portrayed in the adoption of the prodigal son in the father’s loving arms, and the humbly bowed head of the publican in the temple, filled every moment of this historic day. 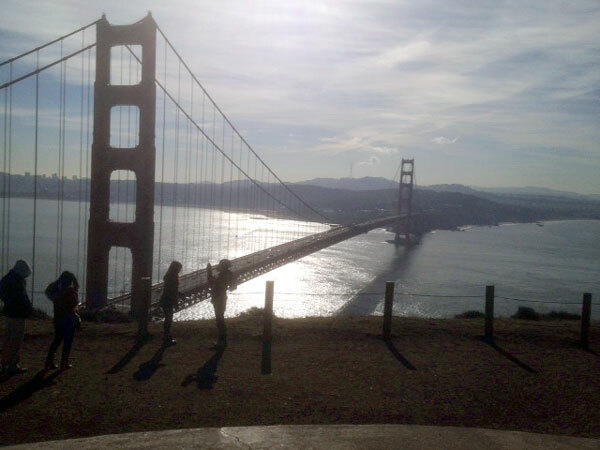 The return home and acceptance with forgiveness and love was felt and shared by all - the laity, and the Metropolitan. The grace of God was felt in this community of believers who seek God and His righteousness in what they did. After the Divine Service the whole group went to the hall of the temple, where His Eminence was greeted by the President of the Church Board of Trustees, Dr. Simeon Simeonov along with a traditional round loaf of bread and salt specially prepared and served by Mrs. Evda Marangos. In the symbolism of this meeting there remains invisible to most people the vast work that Dr. Simeonov and the Trustees have done to bring things to this day, but our Heavenly Father who sees in secret rewards openly. After the blessing of the food all enjoyed a delicious meal fitting for the last Sunday before Lent begins. The Women’s Section at St. George’s Church, led by the most respected and all-beloved Mrs. Zhivka George, once again had taken care to please everyone with their skillful meatless dishes and tireless work. 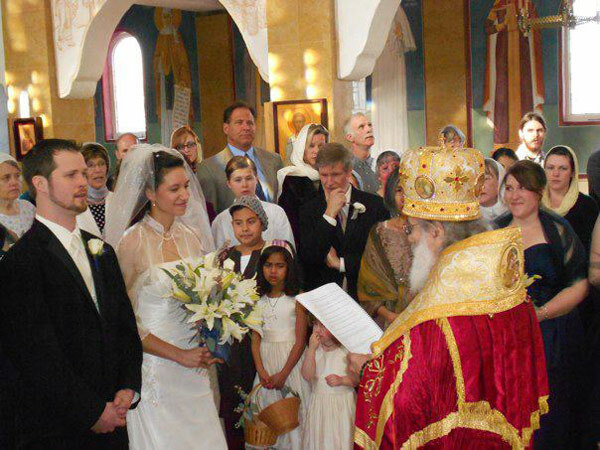 The universal joy of Orthodox fulfillment that finds its beloved spiritual mentor and pastor in the person of Metropolitan Joseph is joined by his joy that he accepts under his omophorion those pious people who sincerely and faithfully kept their faith and traditions all these years while far from home. May God be merciful to us in the future, and let history remember this significant event. 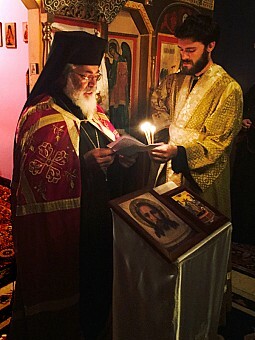 His Eminence Metropolitan Joseph arrived in Boston in time for the vigil of Nativity (o.s.) 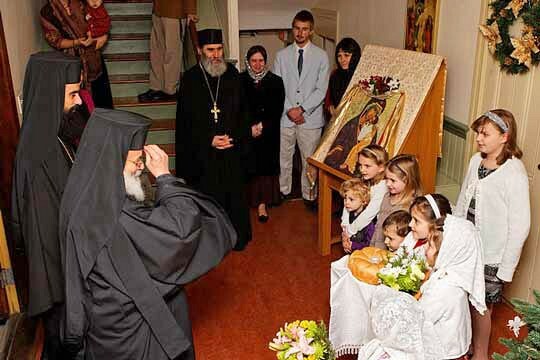 He stayed through the Synaxis of the Theotokos, an Open House and a few meals with our parish. We had tonsurings of readers, elevation to the sub deaconate, ordinations of two deacons and the elevation of the new Archpriest, Fr. Michael Kon. We gathered together at Church fasting, hungry and aware of our spiritual need; and we left the services spiritual full of grace and hope. Glory to God! His Eminence was busy as a bee—talking, encouraging, praying, blessing, and being with the people and clergy. Please enjoy the pictures of this wonderful and blessed event. 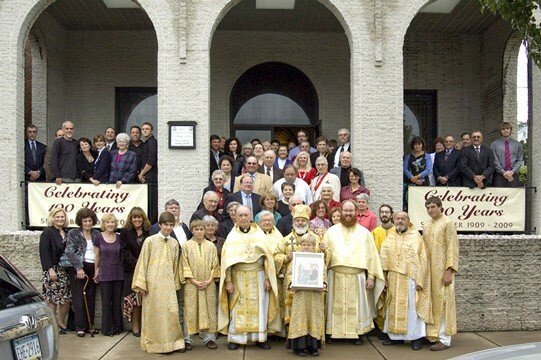 On October 23 & 24, 2010, St. Stephen Bulgarian Eastern Orthodox Church in Indianapolis, IN, celebrated its 95th anniversary of existence. On the occasion of this great event, and of the 25th anniversary of his pastoral service in St. Stephen's, Fr. 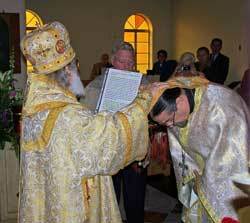 Stavrovoren Iconom Dimitar Angelov was elevated with the highest "offikia" for priests, that of Protopresbyter. "Feed My sheep" - the Lord said, and Fr. Dimitar did it for 25 years. There is simply no better way for Fr. Protopresbyter Dimitar Angelov to show his love for Christ than by showing it for the beloved faithful of St. Stephen's for whom Christ died. Congratulations, Fr. Protopresbyter Dimitur! Mnogaia Leta! Sts. 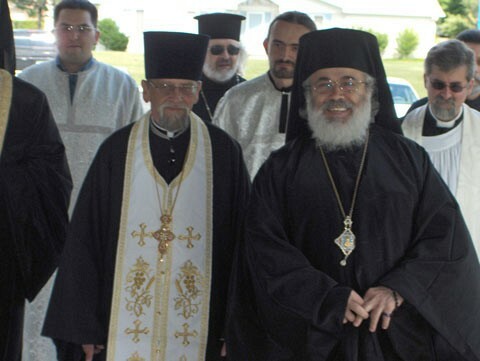 Cyril and Methody Macedono-Bulgarian Eastern Orthodox Cathedral is far more than it's parish's physical home. It's true. Reality exists in the hearts of the men and women and their children who worship there, and in the honored memory of those who have gone faithfully before them. That is the heritage of Sts. Cyril and Methody's and the legacy with this historic Cathedral and Parish passes on, to the future. May this always be so! Sincere thanks to all clergy, members and supporters of our Cathedral and Parish who through their talents and dedication made it to grow. Many healthy years to all! 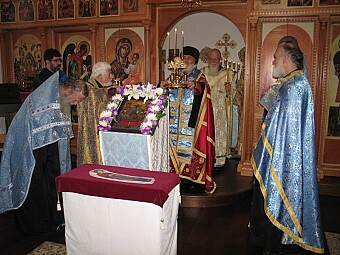 September 12 & 13, 2009 - St. Thomas Eastern Orthodox Church of Fairlawn, OH. We are pleased to announce that the 50th Anniversary celebration with His Eminence, Metropolitan Joseph was a delightful experience. From Great Vespers Saturday evening, followed by a wonderful dinner, to one of the most inspiring Hierarchical Divine Liturgies ever on Sunday, our liturgical celebration was moving and Spirit-filled. Following Liturgy, we gathered at a local park for a picnic under perfect weather conditions. The food, drink and dance were superb. Best of all, we were complete as a parish family with His Eminence in our midst! With all of your prayers, may God bless our next 50 years! His Eminence Metropolitan Joseph celebrated the Dormition of the Most Holy Mother of God With the Joy of All Who Sorrow Parish in Indianapolis IN on August 28th. His Eminence then performed two weddings, joining Caroline Elena Koen and Samuel James Dank on August 30 and Mariamna Koen and Alexei Gonopolskiy on August 31st. Below are photos from the weddings. 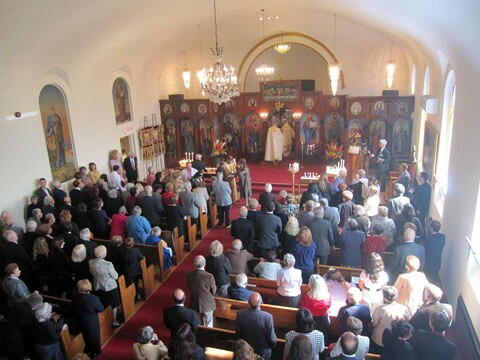 Holy Ghost Orthodox Church celebrates its 90th Anniversary! Holy Ghost Orthodox Church, which was founded by CarpathoRussian immigrants in 1919 in Detroit, MI, celebrated its 90th year of service to Christ, the Orthodox Church, and for the past eighteen years the community of Sterling Heights on the weekend of June 12-14 2009. On Friday evening at 5:00 p.m. we formally received our beloved Metropolitan Joseph, who then presided at the Vespers Service. 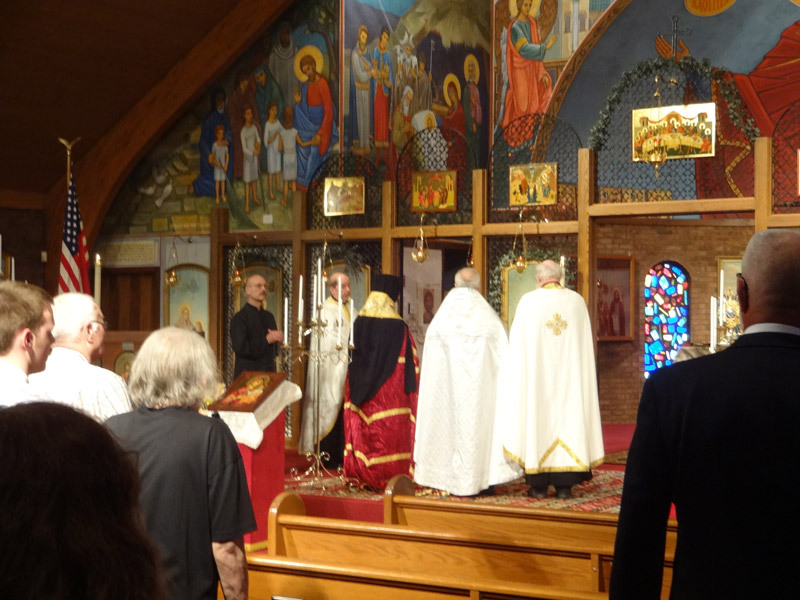 On Saturday we were joined by a number of visiting clergy, parishioners, and many invited guests in the Celebration of the Hierarchical Divine Liturgy. A Commemorative Banquet followed in the Parish Hall. 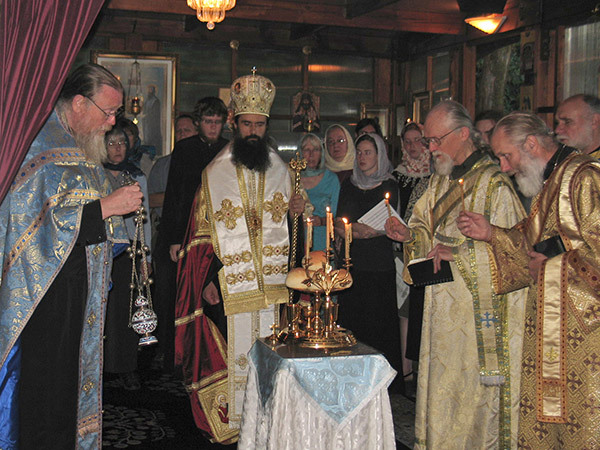 August 27 to Sept. 1, 2008 We celebrated the feasts of Dormition and St. John Rila with Dedo Vladiko. The feast of Dormition is very special for us because our beloved Hierarch Metropolitan Joseph usually comes and stays a few days with us. This year (2008) Dormition was on Thursday, we had a vigil Wednesday night and Hierarchical liturgy Thursday morning with the banquet. Clergy from Santa Rosa Marin and San Francisco joined us for our patronal feast with Metropolitan Joseph. Thursday night we had a barbecue with entertainment and conversation with Dedo Vladiko. Saturday night we had a vigil to St John of Rila and Sunday morning we did an akathist to St. John of Rila before Liturgy. At the end of liturgy His Eminence blessed all students and teachers. After a wonderful brunch prepared by the Sisterhood there was a blessing of the new St. Michael's School Library and the school.